It will premiere at ACM’s annual SIGGRAPH conference. 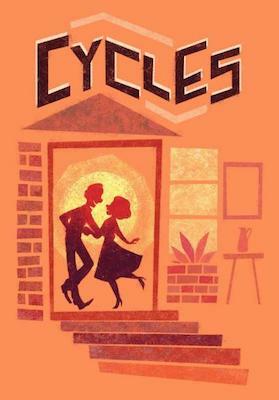 Walt Disney Animation Studios is set to share its first VR short, a film called Cycles that took four months to create. The short will make its debut at the Association for Computing Machinery's annual SIGGRAPH conference in August and the team behind it hopes VR will help viewers form a stronger emotional connection with the film. "VR is an amazing technology and a lot of times the technology is what is really celebrated," Director Jeff Gipson said in a statement. "We hope more and more people begin to see the emotional weight of VR films, and with Cycles in particular, we hope they will feel the emotions we aimed to convey with our story." Cycles is about a house, what happens inside of it and how those that live there make it a home. When making the film, Gipson drew from childhood experiences in his grandparents' home as well as the time he spent riding BMX bikes in empty swimming pools and wondering about the families who lived in the houses they were attached to. "Every house has a story unique to the people, the characters who live there," he said. "We wanted to create a story in this single place and be able to have the viewer witness life happening around them. It is an emotionally driven film, expressing the real ups and downs, the happy and sad moments in life." The Disney short will air at SIGGRAPH's Immersive Pavilion, an area dedicated to virtual, augmented and mixed reality. "What's cool for VR is that we are really on the edge of trying to figure out what it is and how to tell stories in this new medium," says Gipson. "In VR, you can look anywhere and really be transported to a different world, experience it from different angles and see every detail. We want people watching to feel alive and feel emotion, and give them a true cinematic experience." Last year, Pixar, a subsidiary of Disney, released a VR experience to promote the film Coco.